Signed l.l. corner, green oil "DOBELL". Not dated. John McDonald, The Sydney Morning Herald , 'Paradise lost', pg. 16-17, Sydney, 04 Jul 2015-05 Jul 2015, 16, 17 (colour illus.). 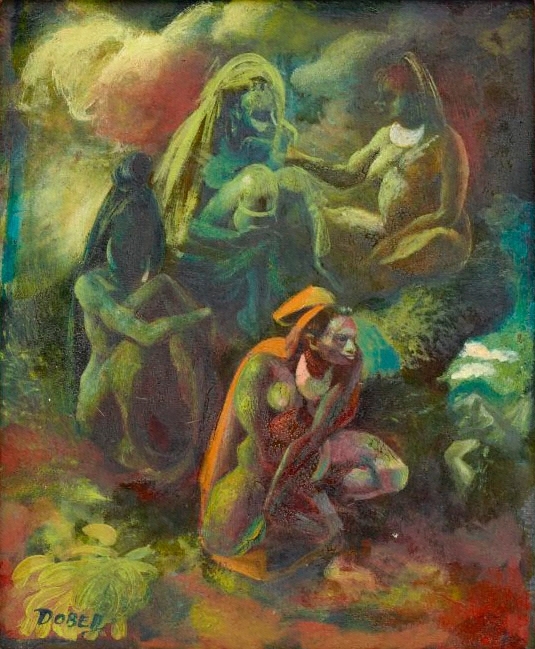 Review of the exhibition 'Painter in paradise: William Dobell in New Guinea'. Incorrect caption given for this work, 'Giluwe'.